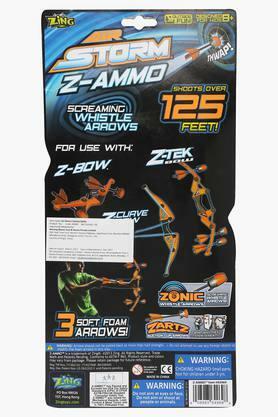 Get this arrow ammo refill set brought to you by the popular brand, Zing for your child and give his or her toy collection a fine boost. 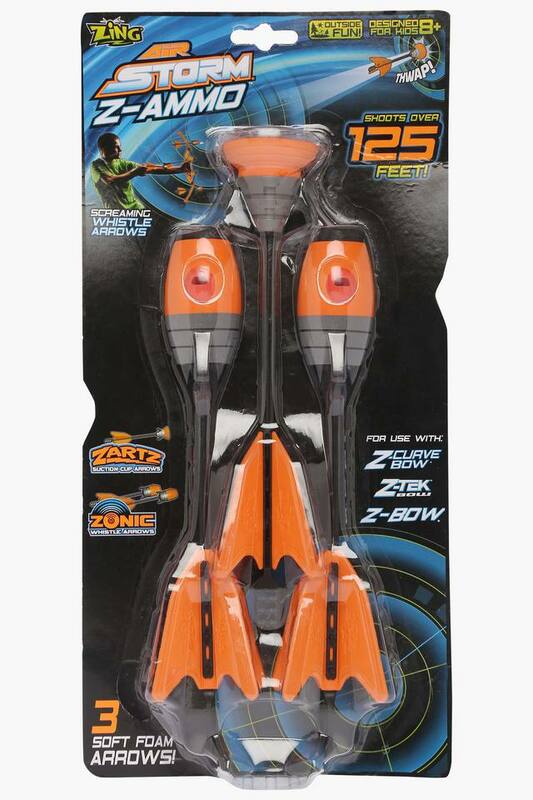 Featuring a fine colour combination, it has been made of a good quality material, which is not only nontoxic but also light in weight and safe to play with. 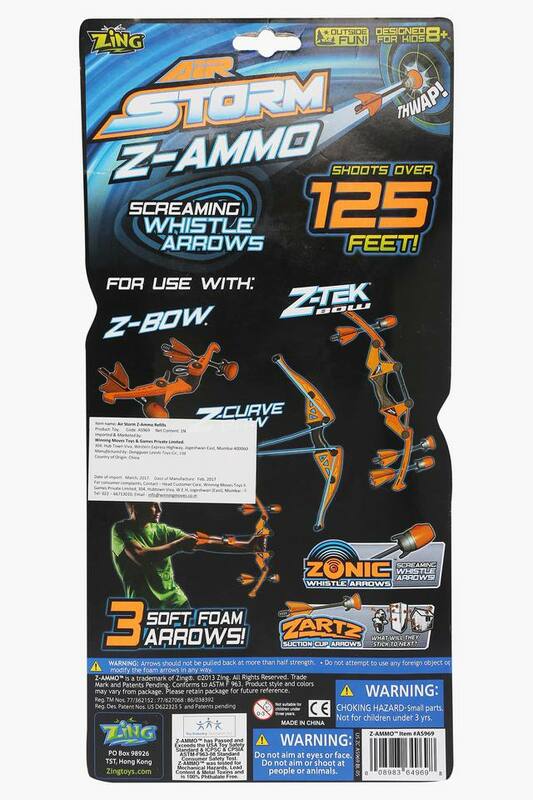 Make the playtime of your little one more productive by giving him or her this arrow ammo refill set. This set consists of one suction cup arrow and two screaming whistle arrows that will add variety to his archery set.